Gazoo Mobile has extensive experience developing and deploying enterprise mobile applications in the aerospace industry for flight operations, aviation training, technical publications, sales and product support. 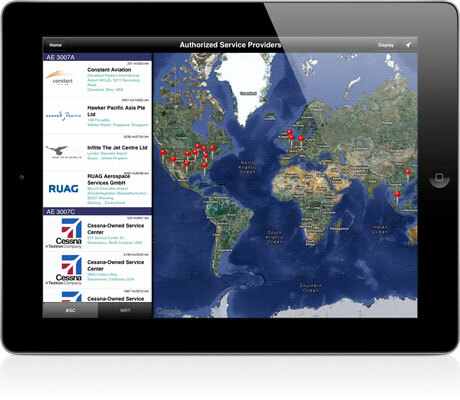 Our proprietary mobile applications allows the aerospace industry to take access data anywhere, anytime for flight operations, flight training, and maintenance and repair. Gazoo Mobile apps are used by market leaders including FlightSafety International and Rolls-Royce for electronic flight bags, flight manuals, courseware, aircraft performance, and engine support. Who Uses Gazoo Mobile Applications? Access the most up-to-date critical aircraft operating procedures at all times. Improve the workflow for technical publications and field service staff. Reduce print and distribution costs for training manuals, while enhancing the learning experience. Deliver compelling and consistent sales presentations in the field using tablet technology. Find authorized service providers from anywhere in the the world. Allow customers to locate authorized service providers and corporate care offices, from anywhere around the world, using interactive maps and directories. Email or call a service location or contact person from within the application, and get directions using Google Maps to any office from the customer’s current location.